New improved double-capacity design holds up to 250ft of 8mm rope. 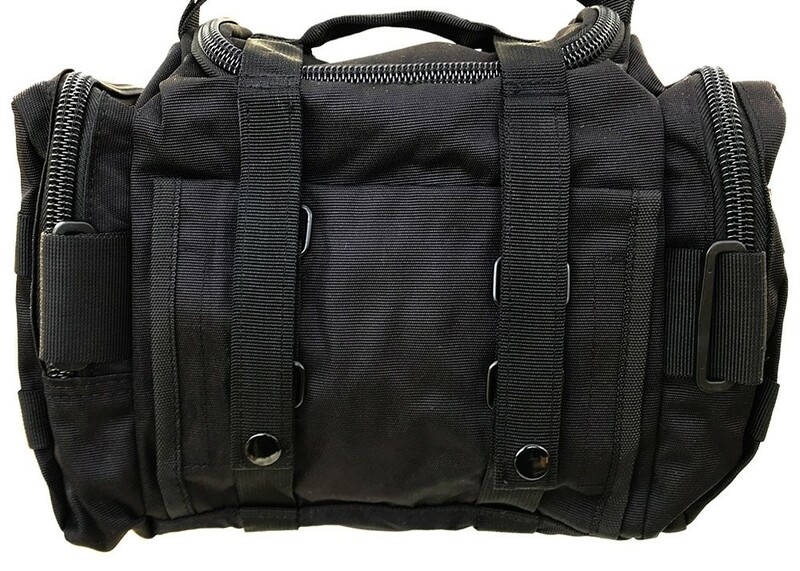 Highly functional, this gear bag will fit everything you need to set up your Sky Track, made of 600D canvas, with two side compartments, one large compartment, and a smaller front pocket. 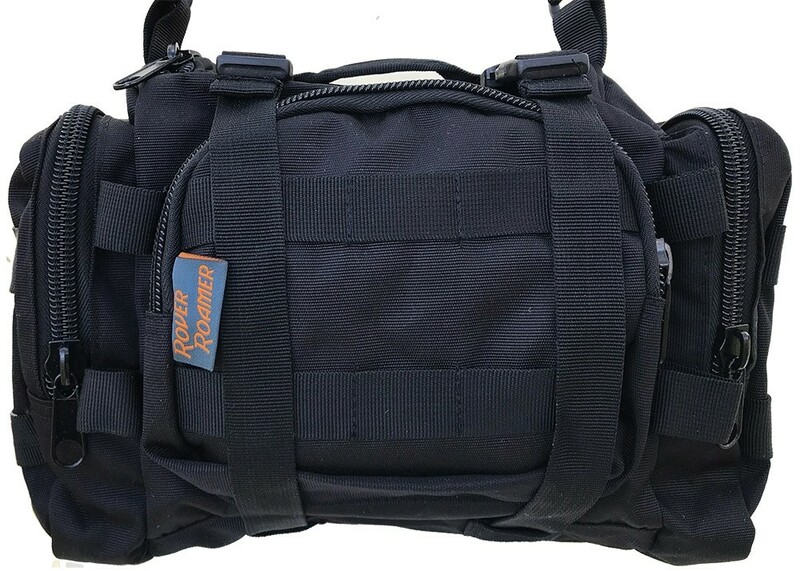 Features a quick-release buckle strap, large and durable zippers, two rows of Molle webbing on face and sides for attaching additional gear, and adjustable and detachable shoulder strap, allowing the bag to be used as a waist or tote bag. Optional small size (select option below): on sale, 50% off. Compact hip/waist or shoulder bag with 1 main compartment, 2 side compartments, and a front pocket, perfect for hiking with gear and treats with or without the pooch. 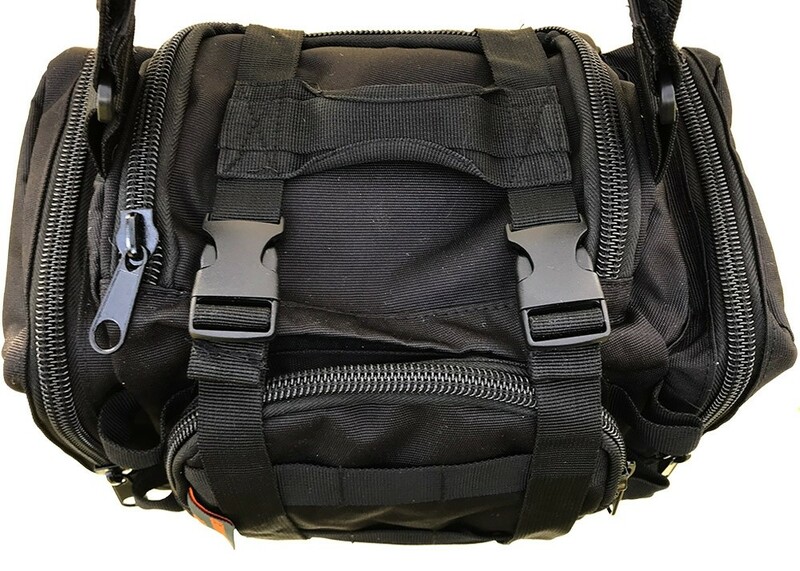 The removeable strap may be used to create a waist bag or shoulder bag by unsnapping the velcro sections and re-attaching for the style you need. 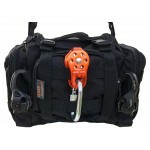 The side compartments carry the straps, the main zipper compartment carries the rope, and the smaller front compartment carries the clamps. 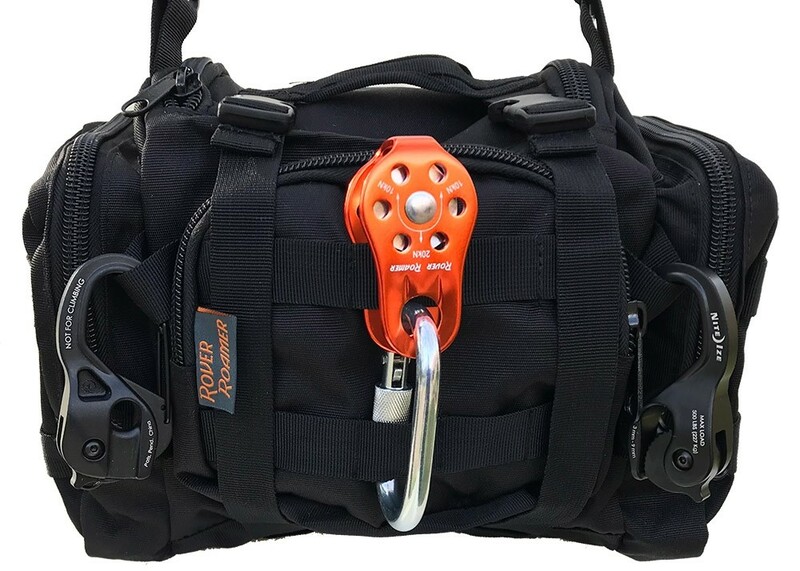 You can attach the pulley, the carabiner and the ratchets onto the Molle webbing on the front of the pack. 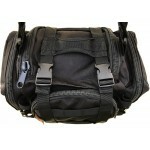 To set up the Freedom Track, its easiest to wear the bag as a front waist bag for easy access to the hardware. Set up the anchor points first, then attach the ratchets to the D-rings. Attach the clamps next then thread that end of the line into one of the ratchets. Walk the other end of the rope to the other anchor point. 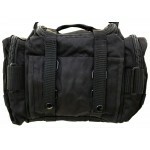 The rope should come out of the bag easily without touching the ground. Attach the other end of the rope to the other ratchet and tighten. 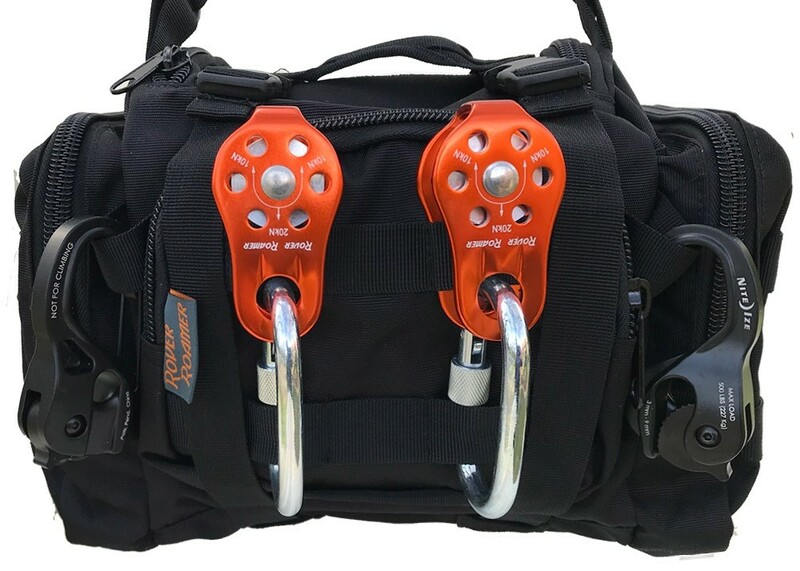 Add the pulley and carabiner between the two clamps and finally adjust the clamps to create distance from the anchor points.